In December 2014, the Italian Grand Prix at Monza has took a blow. F1 supremo Bernie Ecclestone warned earlier last year that the existing Italian Grand Prix contract, running only until 2016, is a commercial "disaster." And then, even more bad news for Monza emerged from the government that Italian newspapers including La Stampa revealed. Reports said an amendment of the law allowing a tax exemption to the tune of about $24M had been ruled out. 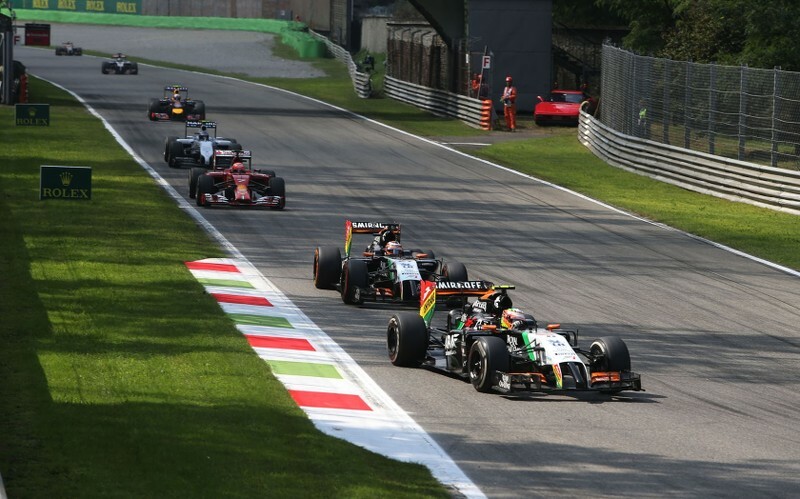 Politician Fabrizio Sala is quoted as saying: "The stability law penalizes Monza and its Autodrome, putting at risk the future of the Formula One Grand Prix." But former F1 driver Ivan Capelli, who became a director of the automobile club of Milan, vowed to fight for the Italian Grand Prix. It's no secret that F1 in Europe has been in something of a steady decline in recent years as F1 ventures increasingly seek to find new supporters and harvest additional revenue. One of the first thing that you'll notice is that during the last full season-- before F1's commercial rights were hived off to entities controlled by then-incumbent caretaker Bernie Ecclestone-- the list of races was16 rounds. 11 of those 16 races, almost 69 per cent, were staged in Europe, with the remaining five held in Australia, Brazil, Argentina, Canada and Japan. Interestingly, both Germany and Italy hosted two rounds, the former at Hockenheim and the Nurburgring (as the European Grand Prix), and the latter at Monza and Imola (San Marino). However, Germany's not the only GP with a long history associated with F1's seemingly "on the cusp of an impending crisis" – it is far from guaranteed that the Italian GP in Monza will remain beyond its current contract. Austria may have made a welcome return to the calendar last year, but Valencia, Imola and Magny-Cours have all been dismissed, while the German Grand Prix appears increasingly under threat regardless of whether it will be held at the Nurburgring or in Hockhenheim. As it stands, September's traditional date in the calendar for Italian GP is safe for two more years only. After that, it's hard to tell. According to Bernie Ecclestone, since "the old contract was a disaster for us from a commercial point of view", he has already warned that he doesn't think there will be 'another contract., so it's bye bye after 2016', with Italian organizers seemingly under pressure to part with an appreciably higher fee to retain its spot on the schedule. 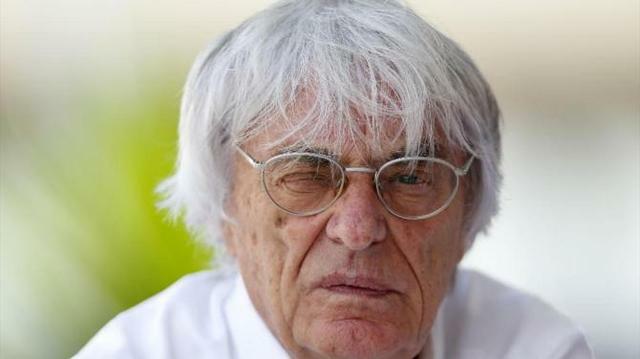 Mr Ecclestone wants to double the amount of money which the Autodromo yearly deposits in his bank account, from current 11-12 to 20-22 million Euros, a figure which would be very hard to collect for SIAS, the society who runs the circuit. In fact, their only source of revenue left comes from selling tickets for the grandstands, after Ecclestone himself asked and obtained full control of the VIP lounge located just above the pits. Roberto Maroni, president of Lombardia, the region where Monza lies, promised a 20 million investment on the venue, in exchange for full property of the park and of the nearby royal villa, provided that the operation be helped by the State government by guaranteeing an exemption for the 8-10 million to be paid in taxes. This was actually written down in an amendment to the so-called 'stability law' (the financial bill with the accounts for the year 2015), but the senate ruled it out just before Christmas. Anyway, just to confirm once again how unexplainable Italian politics is, the parliament is going to discuss this rule again in the next few weeks, after their work was stopped to elect new president Sergio Mattarella. The amendment will be presented again to the '1000-delays law' (yes, Italian politicians are very imaginative when it comes to giving names to their bills). Which means the future of Italian Grand Prix basically depends on this decision of the Parliament. The latest piece of news on this matter is the reassurance from Minister of Labour Giuliano Poletti, who this week has said that the government will back the amendment, since "Monza GP is a brand which belongs to all of Italy. Funny I'm saying this, since I come from Imola...". "There is really no reason to say 'no' to this amendment", Maroni repeated at the very same event. "This would create the necessary conditions to renew Monza's contract with FOM", regional councillor Fabrizio Sala added. While waiting for politicians to make their decisions, former GP driver Ivan Capelli, recently elected president of Milan Automobile Club, and circuit director Francesco Ferri are studying their own strategies for the future of the track. This year the nearby Universal Exposition held in Milan can help the Grand Prix to boost their fan attendance, but from 2016 on, their plan is to increase the number of events hosted in the venue, starting from the comeback of the World Superbike race. Another idea is to "follow the example of the sponsor (Red Bull) who revived the Zeltweg circuit", Ferri explained. "If we do not extend the contract that expires next year, we have prepared a 'plan B' for the maintenance of the circuit, which includes a number of competitions and the development of complementary activities. Monza will survive anyway, with or without Bernie Ecclestone". Unfortunately, while Monza could survive even without the Grand Prix, the Grand Prix could not survive without Monza. "There won't be another Italian GP in any other circuit if Monza loses it", states politician Fabrizio Sala. And since Bernie Ecclestone knows how to play the negotiation game, that's exactly what he is counting on. Meanwhile, F1 supremo is playing the same game with another one of the most traditional races in the calendar: the German Grand Prix. 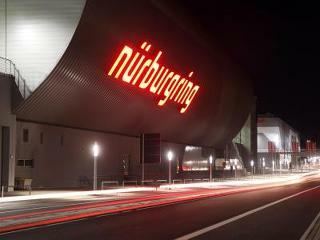 After Nurburgring's ownership troubles emerged, Ecclestone decided to rock the boat by saying to Rhein Zeitung newspaper: "I'm as sad as the fans that there will be no formula one race in Germany. As the attendance has been so low for the last few years, it is not commercially viable for the promoters". A few hours later, though, he seemed to dilute his comments: "We are trying to save it, but it does not look good", he was quoted by major daily Bild as saying. 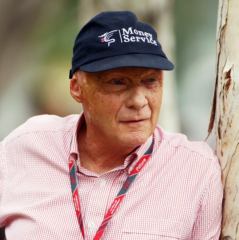 According to Niki Lauda, "this is all just sabre-rattling. For Germany and for Mercedes, it would be a disaster if there is no German race". And Nurburgring spokesman Pietro Nuvoloni did not look impressed by Ecclestone's threats when he responded: "What I can say is that we had a conversation with Mr Ecclestone about two weeks ago and we agreed confidentiality. We were a little surprised by what Mr Ecclestone said, although he did revise it three or four hours later". But what if everything falls apart and Ecclestone can cross out another European race on his hit list? This would mean Monaco, Spa and Silverstone will be all the classical GP's left in the calendar. The question is: at which point all this commercial strategy just stops being a bargain and becomes downright short-sightedness? It's undeniable that European races cannot compete with Asian ones in terms of flourishing economy, state-of-the-art facilities and above all – as Monza's example shows – rich national governments willing to subsidize promoters in exchange for the prestige of the event. But they maintain one asset that no other modern, multi-millionaire facility can offer: their heritage. Which could well be considered meaningless for Ecclestone's TV-based strategy, but it does mean a lot for corporate sponsors. Without its history, charisma and passion, in fact, Formula One could hardly remain a brand capable of creating a global audience of millions of expert and devoted spectators, that is to say potential consumers. And without them and their ability to attract sponsorship money, in the end, the sport would just stop existing.